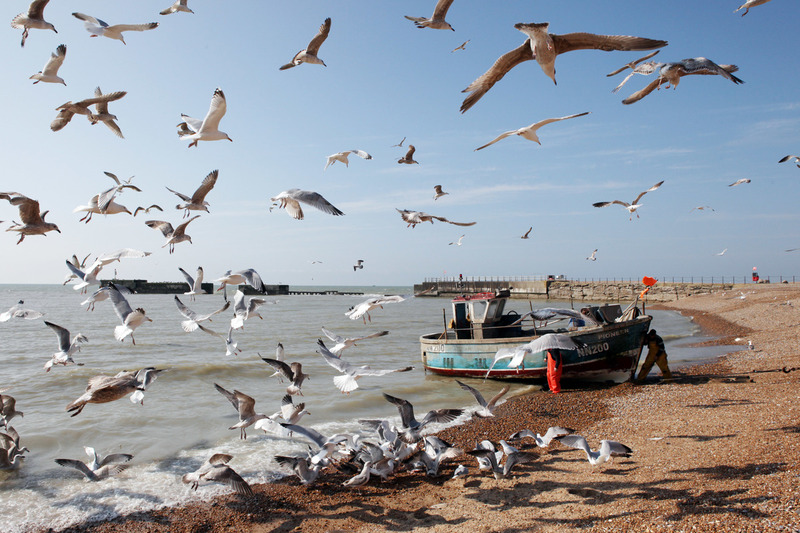 The seas surrounding the UK are some of the most productive and species rich in Europe, yet three out of five UK fishing ports are economically deprived. The number of fishermen in the UK has almost halved in the last two decades, and the average age of fishermen has continued to rise, as less new people enter the industry. So what has gone wrong with the way UK fisheries are managed? Some point the finger at the European Union’s Common Fisheries Policy (CFP) – and not without justification. Measured by value, fishing vessels registered in the EU catch about half of all fish in UK waters (roughly £750 million worth), whereas UK registered vessels catch much less in EU waters (roughly £100 million). And while the picture is much improved since the 2013 reforms to the CFP, the EU has admitted that for decades the CFP failed to tackle overfishing. But just as significant – and far less reported – is the way the UK government manages the fishing quota that it already controls. As Greenpeace investigations have shown, just three companies hold 61% of English fishing quota. Fishing quota is the amount of fish that boats are allowed to catch. Absurdly, one 16ft long fiberglass dinghy holds almost 20% of the entire quota for the South West of England. This accumulation of quota is possible because in the UK, multi-million pound companies are able to buy up fishing rights like any other commodity – with no checks in place to limit how much they’re allowed to buy. In practice, this means that quota is controlled by big industrial operators that fish less sustainably, employ fewer people and bring limited benefits to local communities. It also allows owners to juggle quota between vessels to avoid having their licenses suspended if they are caught breaking the rules. In a way that mirrors the crisis in the housing market, many smaller vessels are now in the position of having to rent quota – often at extortionate rates. Those that cannot afford rents either go out of business, or risk overfishing of species that aren’t currently included in quota allocations. Of course, it doesn’t have to be this way. It is established in law that fish are a public resource. As such, fishing rights should be allocated according to public interest criteria – that is, the ability of vessels to fish in a way that is environmentally sustainable, and the social and economic benefits which vessels bring to coastal communities. This means favouring boats that fish with less bycatch and have lower impacts on the marine environment. It also means favouring boats that land fish locally for processing and sale, that rely on local ship repair and maintenance services, live in the areas they fish out of, and thus generate greater wealth in coastal communities than boats that land their catch overseas. The small scale fleet for example create far more jobs for every fish caught – landing just 10% of fish by value in the UK, but employing almost half of all fishers. The UK government has the power to allocate quota on these terms now – bringing huge benefits to the marine ecosystem and coastal communities – irrespective of what happens in the Brexit negotiations. That is why Greenpeace is calling on Michael Gove and Fisheries Minister George Eustice to use the upcoming Fisheries Bill to re-allocate quota to local, sustainable fishers. For a long time, the EU has been blamed for all of the mismanagement of the UK’s fishery. Now that the UK is leaving the EU, the time has come to address problems closer to home, and ensure that the biggest shakeup of UK fishing in over 40 years is not missed as an opportunity to revive our seas and coastal towns.